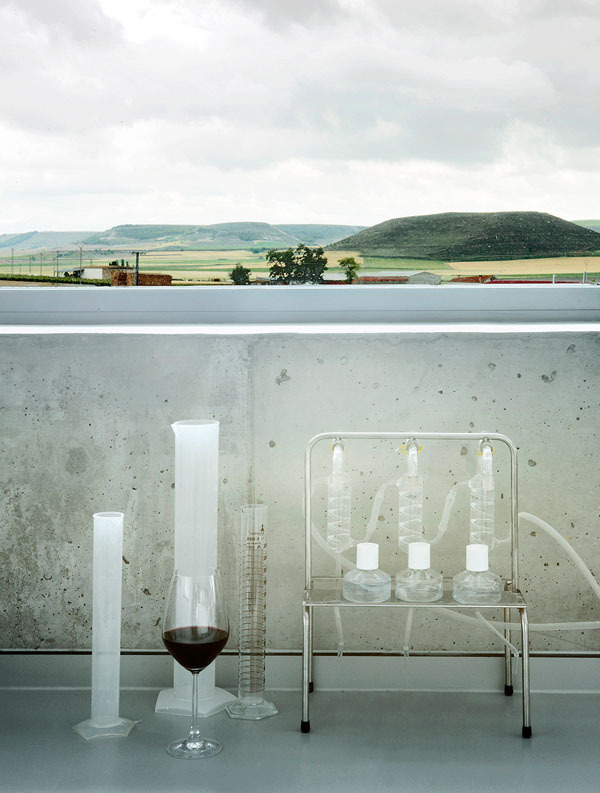 The project is located in the Duero river Valley AONB in an region of gently rolling hills and clear contours that is almost entirely used for producing wine and livestock. 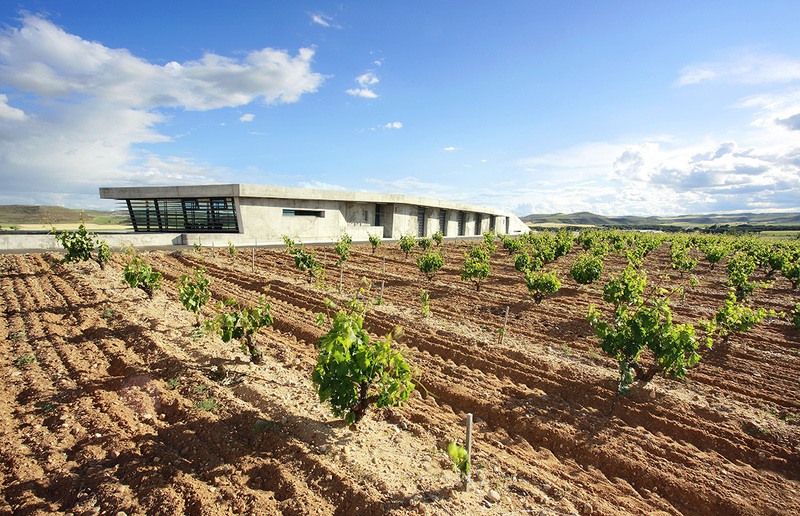 Reaching the winery, located in “Pago de las Bodegas”, involves a slow climb through varying scenery where the new building appears amongst the vestiges of old cellars and wineries. Once on the winery grounds, the climb continues through the vineyards along the rehabilitated traditional harvest trail. Emerging gradually with every step, the building’s north face comes into full view as if it were a prolongation of the landscape. 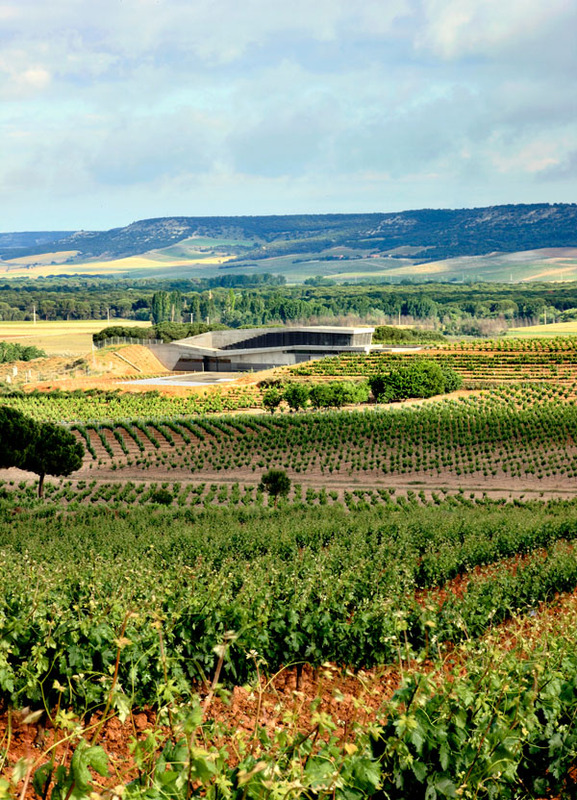 The approach taken in the project has been to minimize visual impact and integrate the winery into the natural landscape surrounding it. Without losing sight of the intrinsic advantages, the project strategy is based in taking advantage of the benefits presented by the slope of the site caused by the silty-siliceous formation in the subsoil in the far south west part of the grounds that extends for twenty metres underground and creates a difference in elevation of four metres. The building is partially buried and the southern façade, which is the tallest, is separated from the edge of the grounds creating a multi-purpose plaza surrounded by indigenous vegetation. 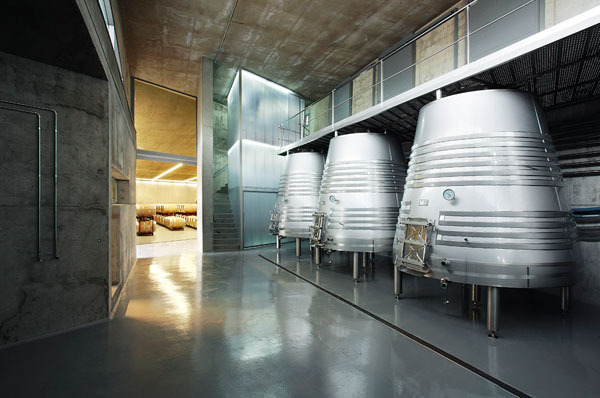 There are two long running walls that are directly involved in the viticultural process and facilitate the work done in the fields along the harvest trail. 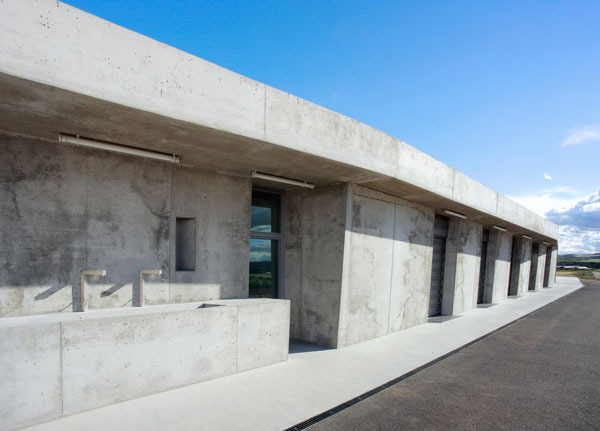 A strong interior-exterior relationship, functional and ergonomic windows that create good lighting conditions, natural ventilation, excellent thermal insulation and a coherent connection between the interior spaces are provided by this elongated building typology. 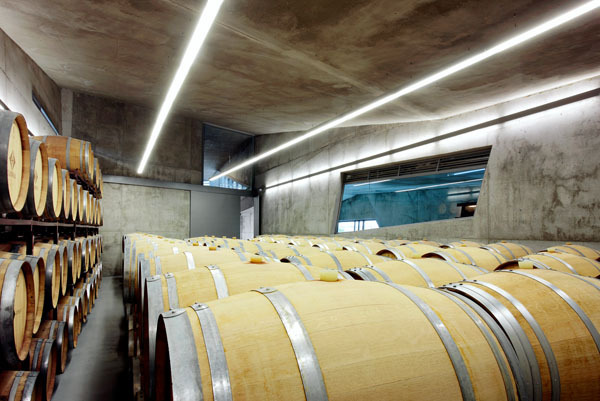 On the north side, the five harvesting doors physically and programmatically connect the vineyards with the processing area and provide points where the grapes can be poured using gravity. 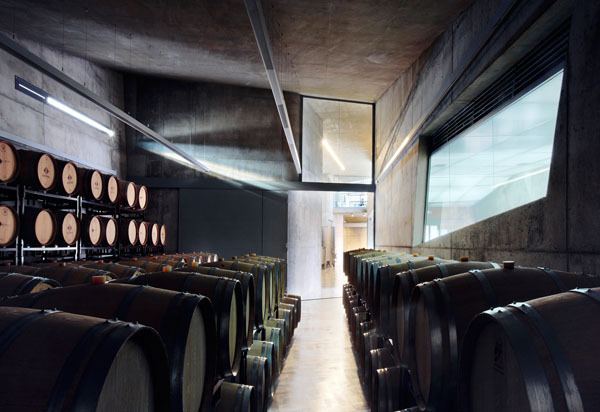 On the south side, the façade is stepped and the exaggerated cantilever creates a large window that opens up the building’s most luminous spaces, which are the wine processing area and the offices. The areas for auxiliary programmes are located in the lower volume and act as a thermal buffer zone for the three main programme areas, which are processing, fermenting and ageing. Both the outdoor water taps and the bench in the plaza are contextual elements intended to provide a respite from the hard work done in the fields, they are a clean point and irrigation point and rest area, respectively. 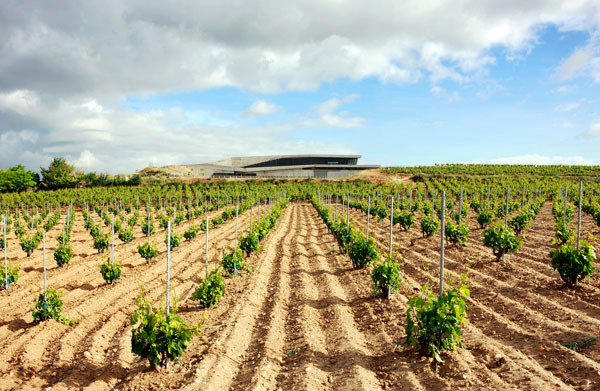 The physical edges of the winery’s operations are blurred so that the continuity of the existing vegetation is not lost. Grape vines are planted along the southern edge to extend into the countryside and trees and aromatic plants are planted to the west. Very few modifications have been made and the greenery has been allowed to blend almost naturally into the pre-existing landscape and its geometry. In this way, the garden stretches beyond its limits and melds into the surrounding natural environment like a borrowed, or shakkei, landscape. 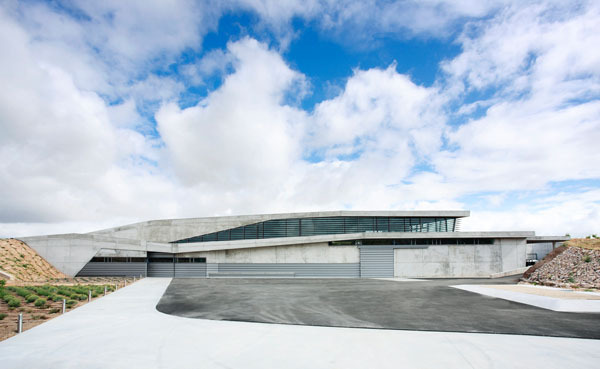 Accordingly, the roof also serves as a recovered observation point by extending the building into the landscape. The interior programme of the building produces a generative force or tremor, modifying form and creating a controlled topography seeking to become one with its surroundings. 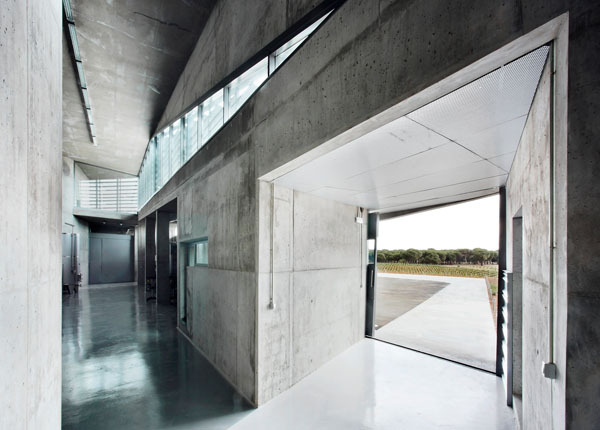 The primary circulation areas are conceived as interior-exterior thresholds or transitional spaces that lighten the effect of entering or leaving the building. They are deep cavities or vestibules that compress space and provide shelter and shade from the extreme year round temperatures and act as wind deflectors on the north side. 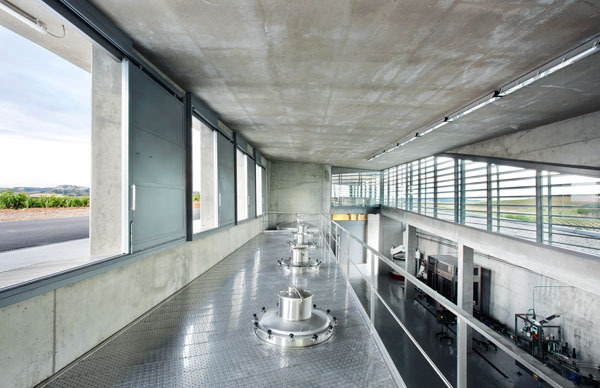 The access points are part of the structural nuclei contained by the facilities, the warehouses and the restrooms, and also structure the space into three main zones used for processing, fermenting and ageing. The end rooms are thus closed, avoiding unnecessary trips and the subsequent changes in temperature, light and sound, while the central room, which does not have any thermal or light insulation, is where the day to day work is done. More than just a mimetic relationship with the immediate surroundings, the roof activates the strengths created in the building’s interior. Thus, the two complementary bands adapt themselves to the spatial necessities of the interior programme displaying the highest energy efficiency and programme efficiency possible and thus become a progressive, natural topography adapted to its location. 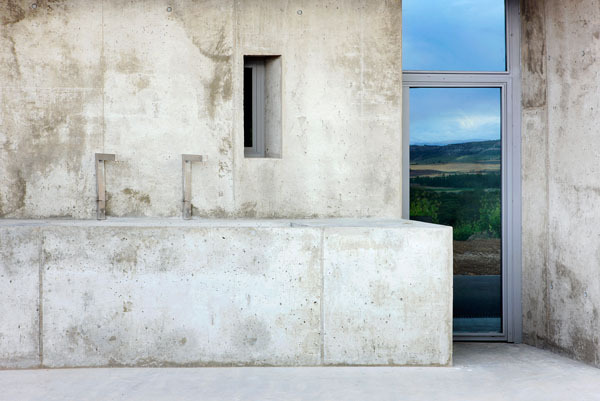 In this process of abstraction, in situ concrete accounts for the total material that gives a continuity to the earth which comes out of the earth. 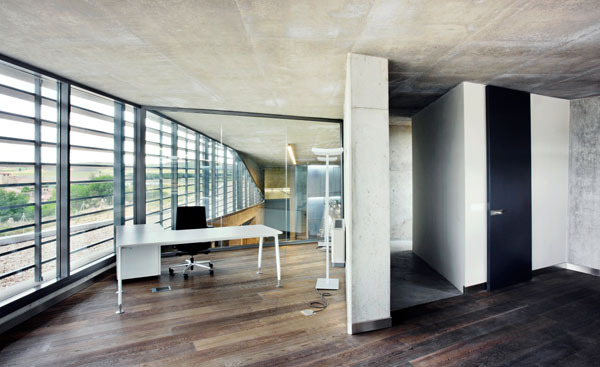 Concrete is free of adornment, load-bearing and already finished. 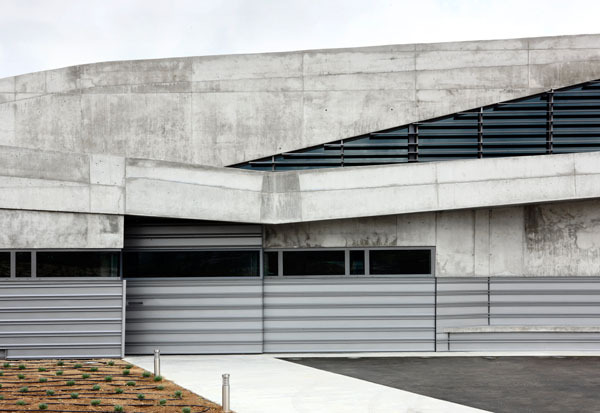 It also fulfils basic functional requirements by being economical and easy to build with – ready made, it needs almost no maintenance, it has high thermal inertia and it can be lightened by inserting a single layer of thermal insulation.